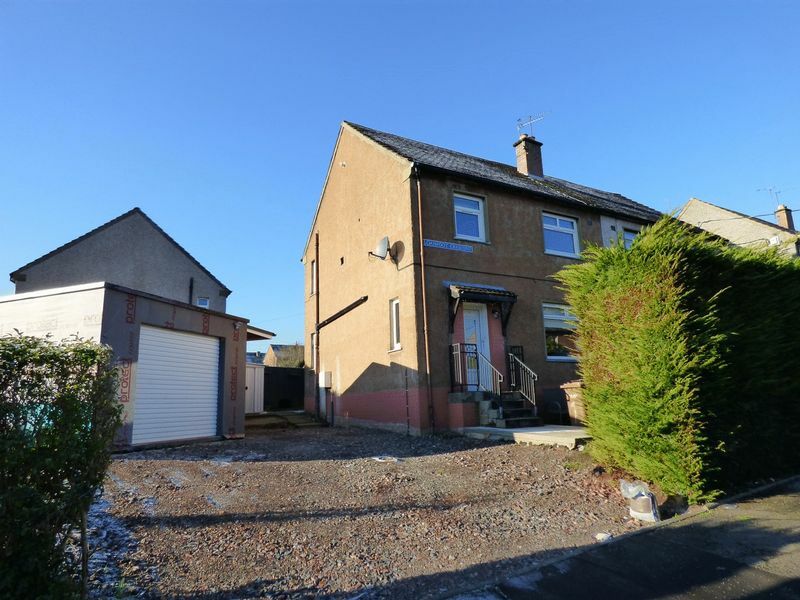 **Closing Date set for 12pm Tuesday 26th February**Alba Property are delighted to bring this well presented 3 bedroom semi-detached family home in the popular town of Uphall. 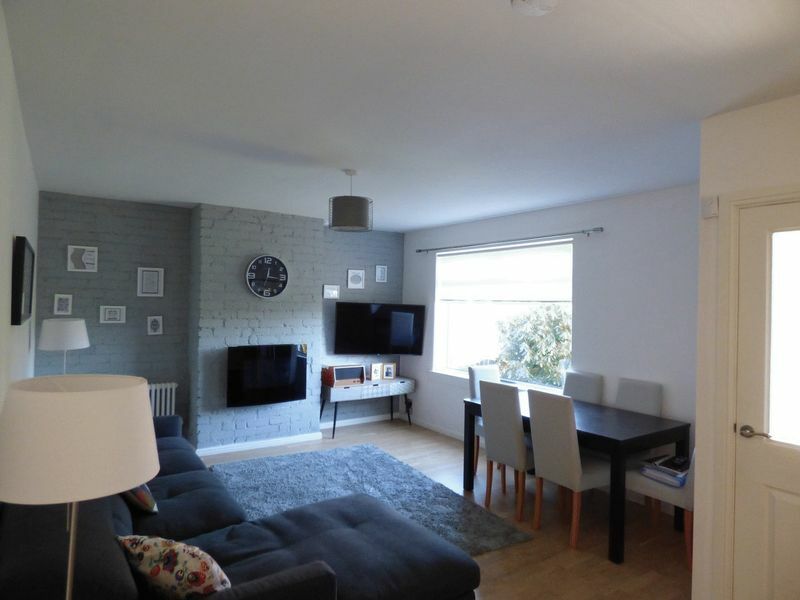 The property comprises of Entrance vestibule, spacious lounge/diner, Modern Bathroom and Modern breakfasting Kitchen, 3 Double bedrooms and Shower room upstairs. 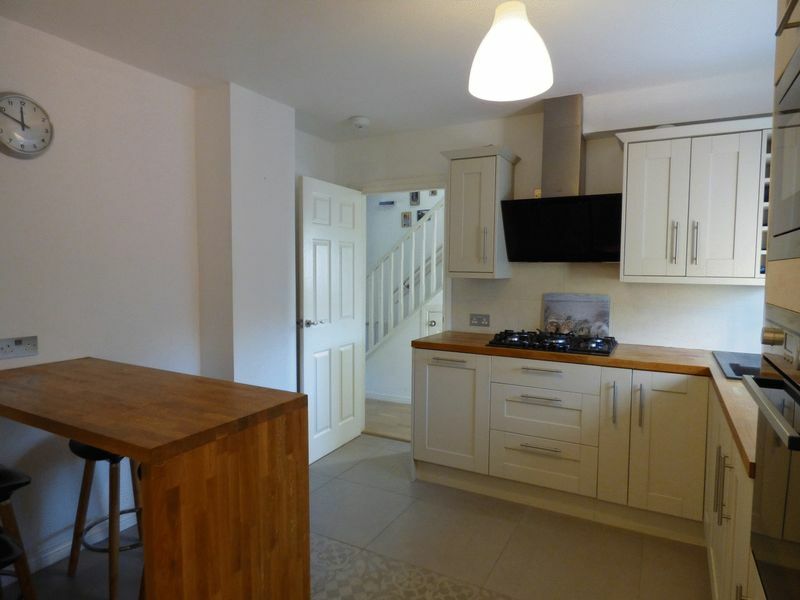 Externally there is a Garage which requires some finishing, the rear garden is landscaped and there is a driveway to the front which requires finishing. 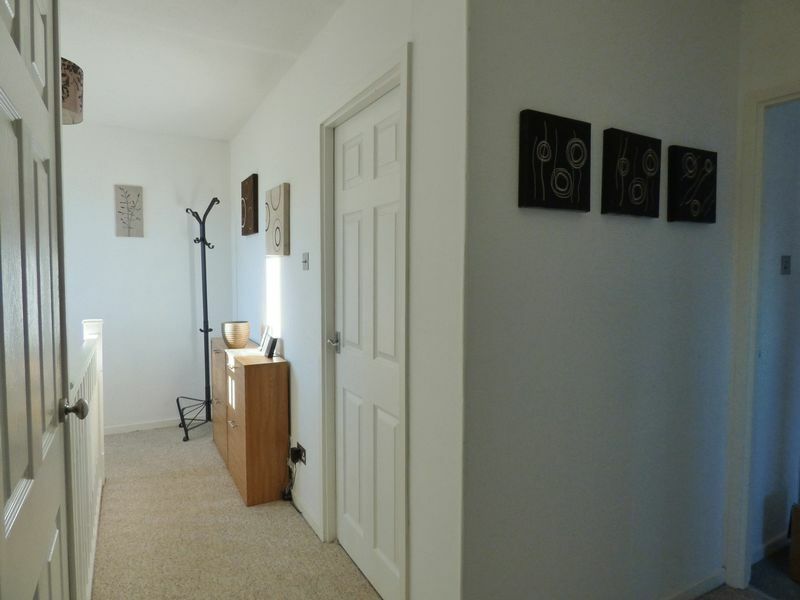 The property is entered into a bright and welcoming vestibule, perfect to leave the shoes and coats. There is then a part glazed door into the Living/Dining Room. 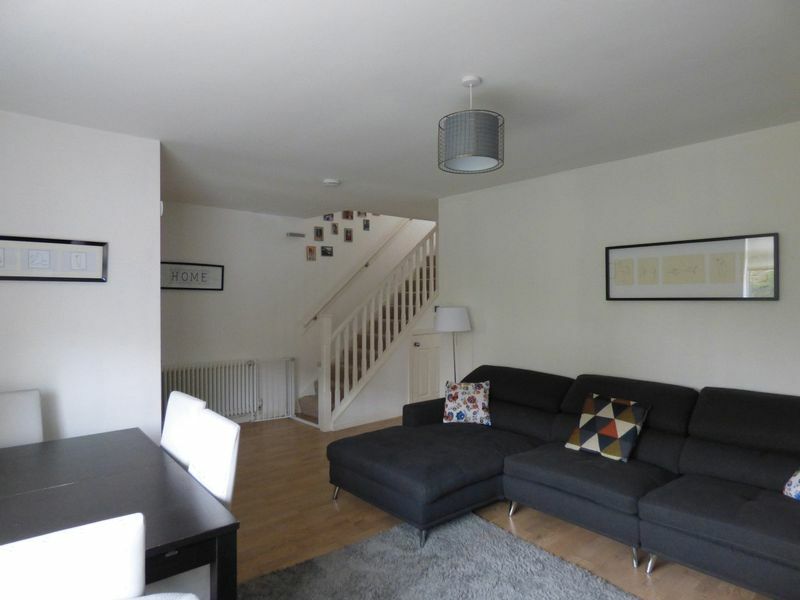 This bright open space is well presented with neutral decor, laminate flooring and feature wall with electric fire, there are carpeted stairs and under stair storage. 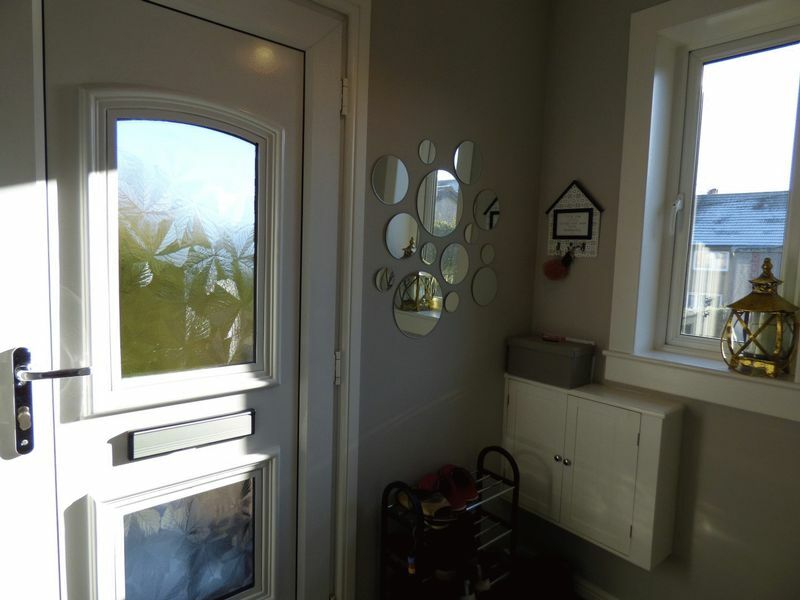 There are doors to the Kitchen and Bathroom. 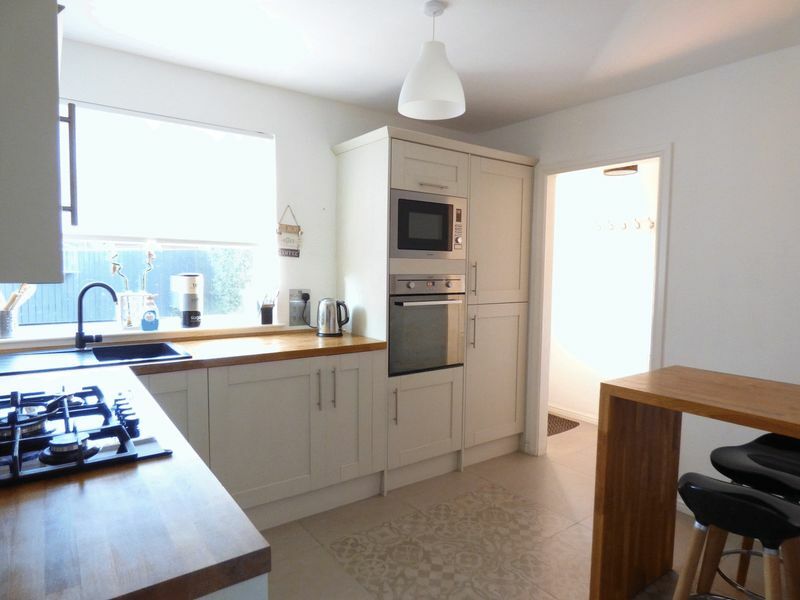 This modern and well presented Kitchen/Breakfast room benefits from integrated appliances such as Fridge/Freezer, Dishwasher and Electric Oven and gas hob. Tiled floor and there is a large storage cupboard in the rear vestibule to the Back entrance door. 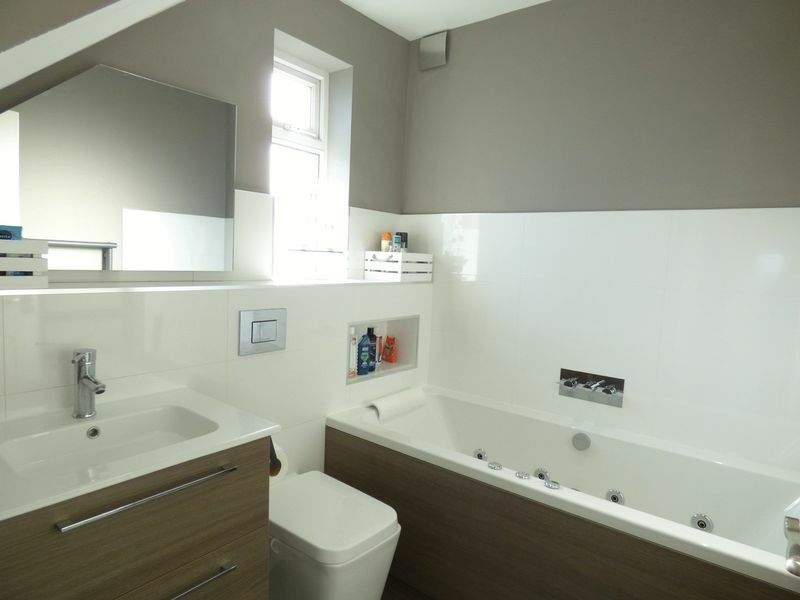 A tasteful and modern bathroom with 3 piece suite of WC, vanity wash hand basin and Jacuzzi double ended bath. Tiled floor and part tiled. Feature ladder radiator and spotlights. 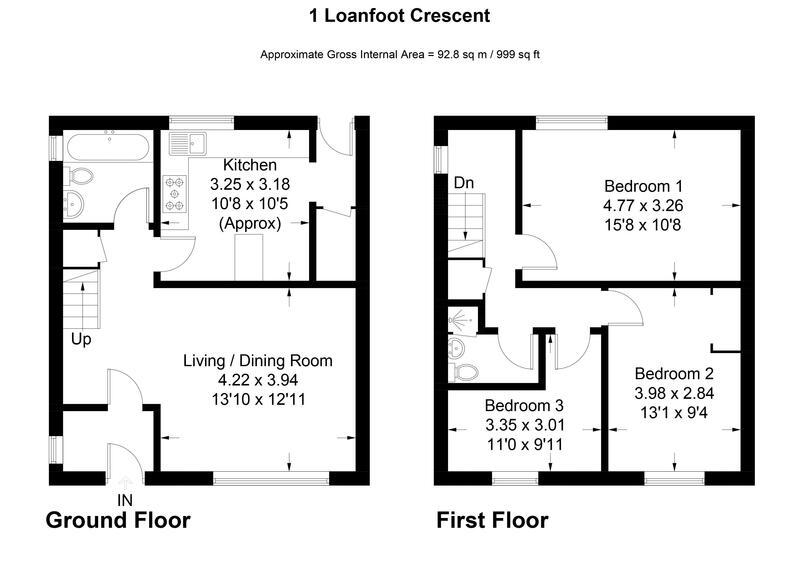 The carpeted stairs lead to a bright upper hall with storage cupboard and loft space access via a ceiling hatch. 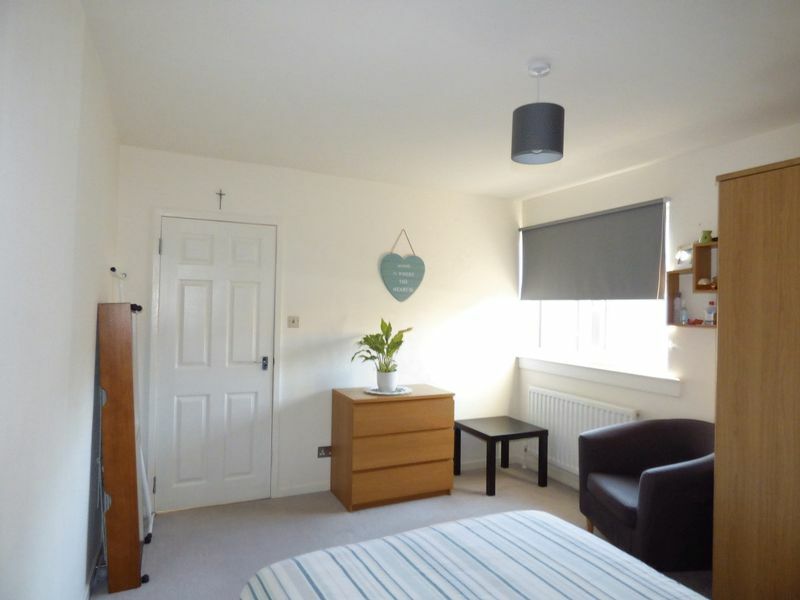 There is also access to the bedrooms and shower room. 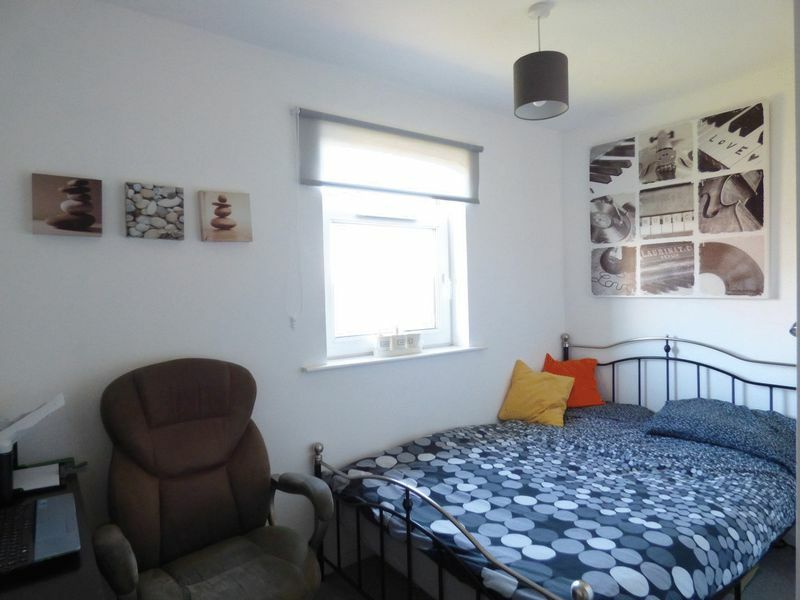 A Spacious double bedroom with rear facing outlook. Neutral decor with feature wall and neutral decor. 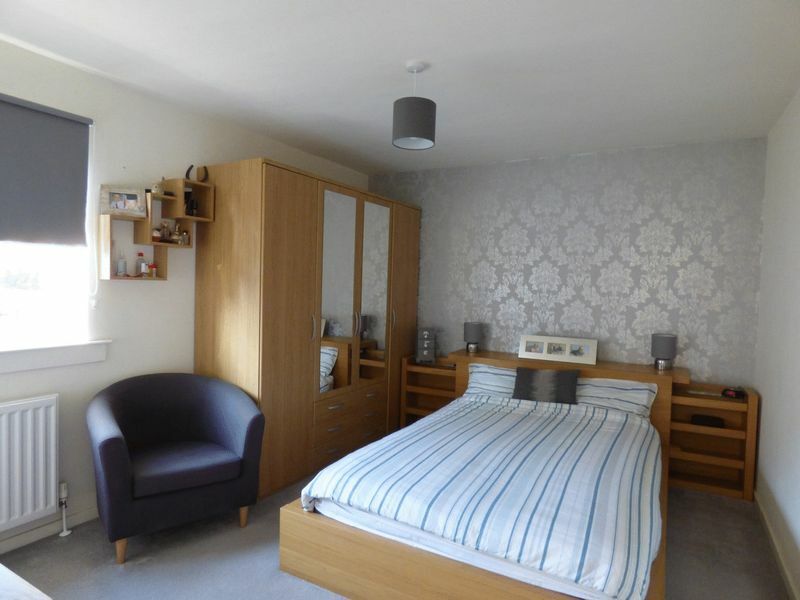 A second double bedroom with fitted storage. Carpet flooring and neutral decor. 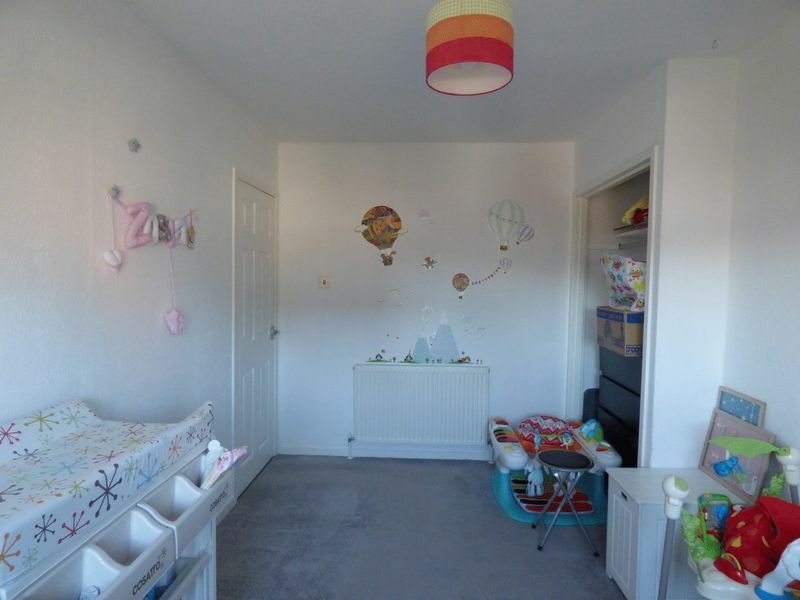 The third bedroom has neutral decor and carpet flooring. 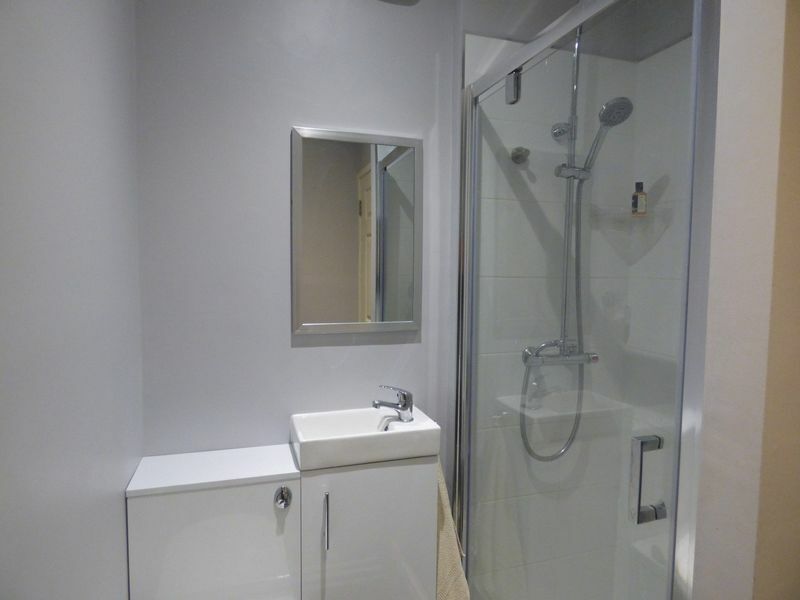 This modern and well presented shower room benefits from a double shower enclosure with a mains rain shower. Vanity basin and WC. Lino floor and tiled walls. The garage has been fitted out inside to be a workshop and requires some finishing although the main structure is there. 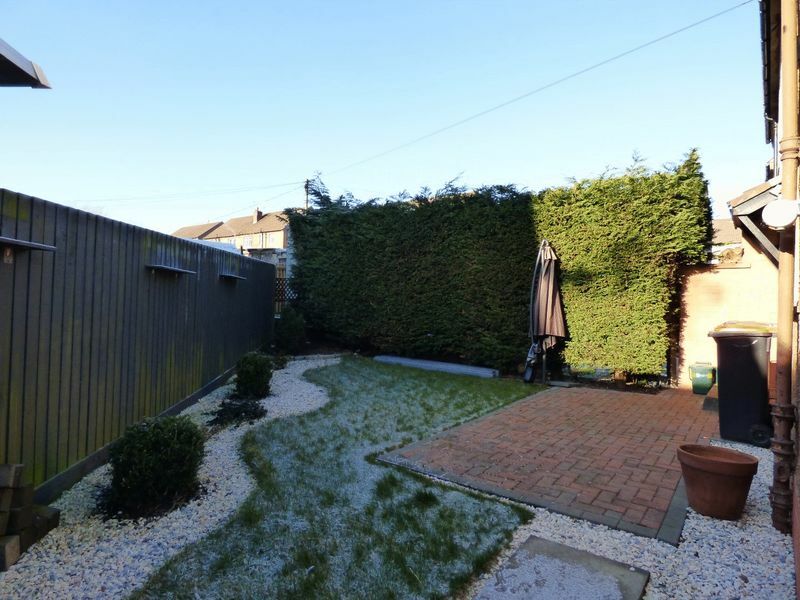 The rear garden has been tastefully landscaped with monoblock, lawn and border, there is lawn to the front and there is a driveway although this will require finishing.